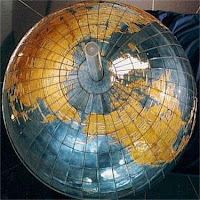 Ultimate Globes Blog: What’s a globe worth? Students of geography know the real value of a globe is in their accuracy. 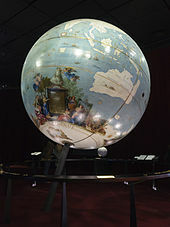 But, since accuracy changes as knowledge increases, famous globes are mostly remembered because they are rare, huge, made or owned by famous people, made from expensive materials, executed with exceptional skill, or sometimes a combination of these. But, without exception, all famous globes are expensive. Seriously nowadays, the world’s truly most expensive globes are not for sale. This includes the Eartha, currently the world’s largest rotating globe. 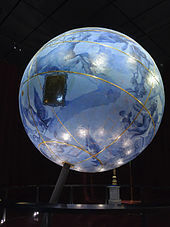 Even those originally for sale were special commissions for the rich and powerful, including the pair of celestial and terrestrial globes made for Louis XIV (almost 4 meters across each). The previously mentioned globes are huge, but you’ll be surprised that even more expensive globes are rather quite small. 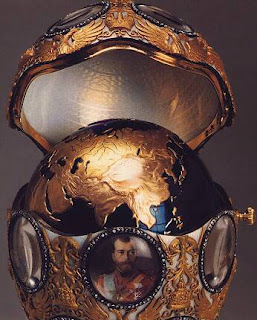 Probably the most expensive globe is hidden as a surprise inside the jeweled egg made by the Russian jeweler Peter Carl Fabergé for the 300th anniversary of the Romanov Dynasty. Since this egg is just 3 inches in diameter, that makes the globe surprise less than 3 inches across. How much, you ask? We can only guess. But while the price of Fabergé eggs can run into the millions of dollars, their historic, cultural, and artistic value make them truly irreplaceable priceless masterpieces. 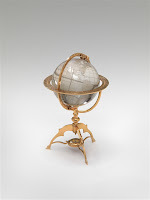 The House of Fabergé also made actual (but still decorative) globes for customers. These are also fabulous. One example, made of gold and rock crystal, is part of the Fabergé collection of the Virginia Museum of Fine Arts. Another is part of the British Royal Collection. Whatever size they come, whatever materials they are made with, the world’s most expensive globes are a testament to man’s fascination with the earth, and the ingenuity with which we create tributes to it.